Troop went rock climbing at Sportrock Climbing Center in Virginia on January 13, where we stayed overnight until January 14. The event was put together by Crew 1794. It was a blast as we climbed for about 4-5 hours than we would pull out and volleyball and started tossing it around. The climbing was a bit hard yet fun since there were some courses where you could only use your hands. And watching a staff do that course was incredible. In the end, rock climbing was a fun experience since we would climb and then just relax and talk afterwards. The overnight rock climbing trip at Sportrock in my opinion was very fun. After signing in and stashing our stuff, the instructors taught us the proper way to belay, and prepare to climb. After lessons, everybody climbed until dinner. There was a variety of walls to climb, including boulder walls, 60 feet walls, and other exhausting climbs. After maybe 2 hours, the food came. Eating pizza with my friends was fun! After eating, everybody went back to climbing for the next 2-3 hours. In addition to climbing, there were other activities including card games, football, volleyball and others. It was so fun that the instructors joined in on the fun! Later, we went to sleep (ahem, passed out) around 3 am on the mats underneath the overhanging boulders and ledges. When I finally came to, I packed up and left the place. 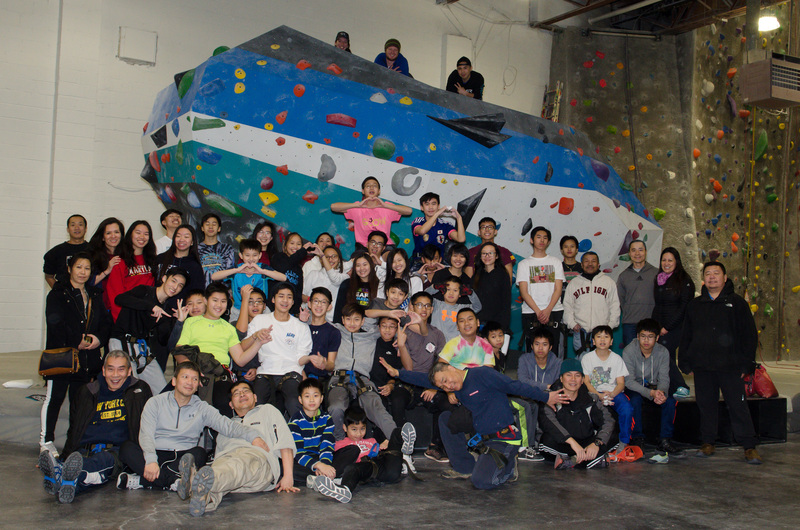 On January 13th, Troop, Seniors, and Crew went to Sportrock Climbing Center in Alexandria, Virginia. Before we got started to climb we all went through a brief and informational hour long class; learning the basics on how to tie the knots needed for rock climbing and the precautions taken before and during climbing. Afterwards, we got to run around and try out the higher courses and the boulder. The highest course there was almost 60 ft. high! The boulders were short high intensity courses. After 2 hours of running around climbing, we had pizza. It was about 12:00 AM, and after everyone was sore from climbing the scouts played volleyball and cards. They played until 3:00 AM and once everyone was tired, they decided to go to sleep. Overall, the experience was very fun because I got to rock climb which was a first, and I had a lot of bonding time with my fellow scouts.